We understand that getting the most from your outside space can present unique challenges. As technologies and lifestyles change so building environments have had to adapt to new demands, e.g. cycle shelters and storage, the provision stylish weather protection or the best ways to embrace the benefits of solar energy. 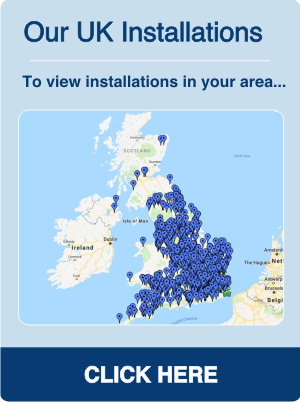 As the canopy experts, we can help you with expertise and guidance to ensure a no fuss approach to achieving the results you require. We have extensive experience of working with facilities and building managers, making sure projects are completed safely and on time. 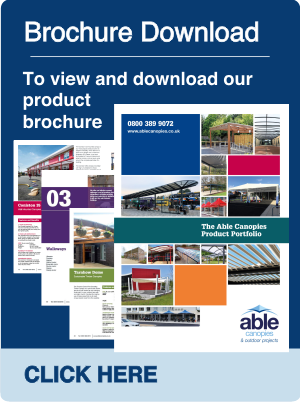 Able Canopies have a product specification website exclusively for facilities managers, architects and specifiers - the Able Canopies Specification website. 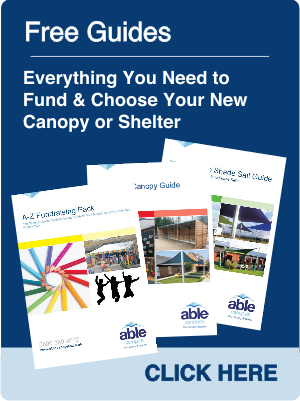 Our Specification website has extensive technical details, technical drawing and specification information on all of our canopies, shelters, walkways, and shade sails to ensure you receive all information you need in one place, as conveniently as possible. You will find useful information such as PDF and DXF CAD drawings, IGES and STL 3D Models and NBS plus Specifications along with the product benefits and images. If you would like access our specification website, please contact our expert team for your personal log in. We have a dedicated Design & Build team who can create canopies and shelters to your specification. Read more about our Design & Build service.